the good news is that I've continued to run and eat cheeseburgers during the past month. the bad news is that I haven't written anything about it. so I'll try to make it up to you. I would give you all a virtual cheeseburger, extra pickles if that's your thing, but that isn't possible. so instead I'll try to recap as best as I can. first I'll start off by saying that I'm getting closer to reaching 1,000 miles for 2016. in order to hit that goal I'll have to run at least 80 miles each month. I honestly don't think I'll hit that in September, which means the last 3 months of the year will be ramped up considerably. my right knee has been doing that fluid buildup thing again which is worrisome. (un)fortunately I've been so consumed with our new house that I've put medical issues on the backburner. totally normal and responsible of me. oh and you know what happens when you run in Florida? there is a good chance that it'll start raining, without any warning. both times I was stuck clutching my iPhone fearing that there would be water damage. on the cheeseburger front, this past Sunday night I picked up some Smashburger for Ryan and I. tasty for sure, but nothing beats eating it fresh at the restaurant. and that's about it. fingers crossed I do well at the race on Saturday morning and have a recap posted shortly afterwards. 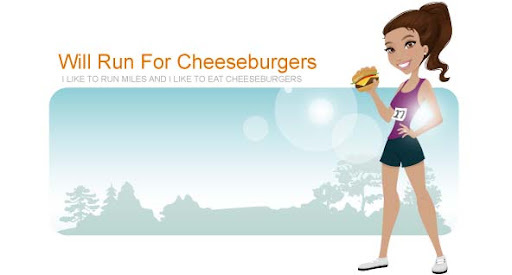 hope everyone is running and eating cheeseburgers!